Hi I'm Jon Gustavson from the Atlanta Georgia Table Tennis Association for About.com. 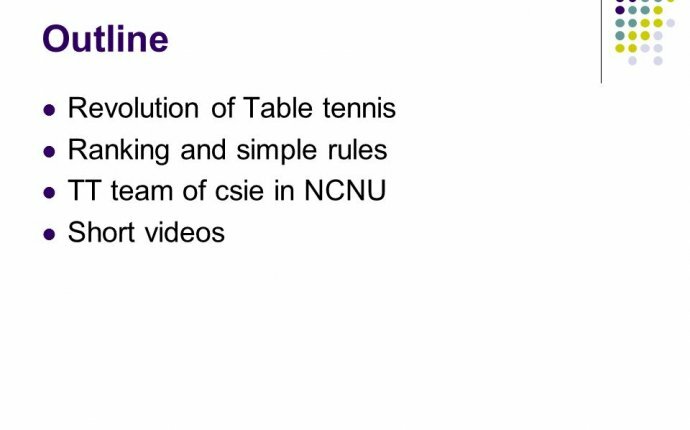 Today we're going to talk about some of the important rules of table tennis. One of the rules that's most commonly broken is not serving legally. A few basic things that you have to do to have a legal serve is to have the ball flat in the palm of your hand. To toss it up at least six inches, not hide the ball with your arm, and you must be behind the line. You can't serve with the ball in your hand over top of the table. Another important rule once you start playing table tennis in an organized setting is making sure that your paddle is legal and approved. Your paddle is going to have to have USATT approval for the rubber. It has to be in reasonably good condition. Another rule that players aren't aware of is that in the course of a rally once the player has served and the point is in progress, you cannot talk, you cannot yell. A lot of time players in their enthusiasm of thinking they had a point might say something. By the rules, if you talk during the point you lose the point. A lot of times new players, and particularly kids, make the mistake of putting their hand on the table while they're playing. You can't do this at any point. A misunderstanding a lot of players have when they're playing table tennis is how a ball is scored when it hits the edge. It can be kind of tricky sometimes but the ball has to hit the playing surface. So a ball that comes in from the side and hits the side of the table without hitting any portion of the playing surface is not a point. These are just some of the rules of table tennis to help you get started. For more information, go to About.com.